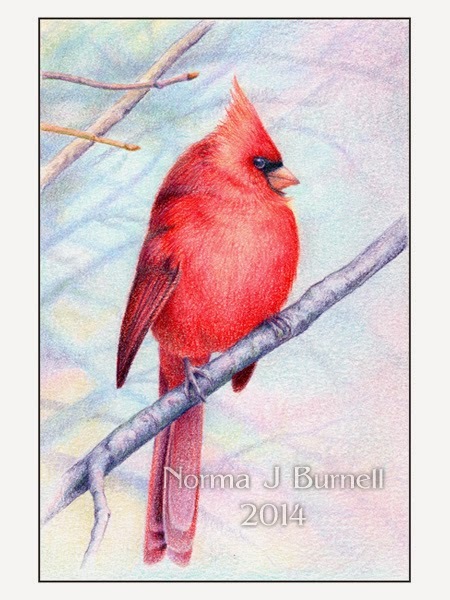 Cardinal...4x6 inches, color pencils on Stonehenge paper. 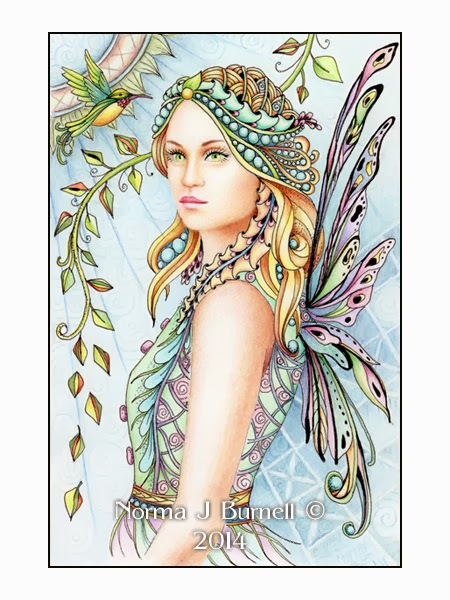 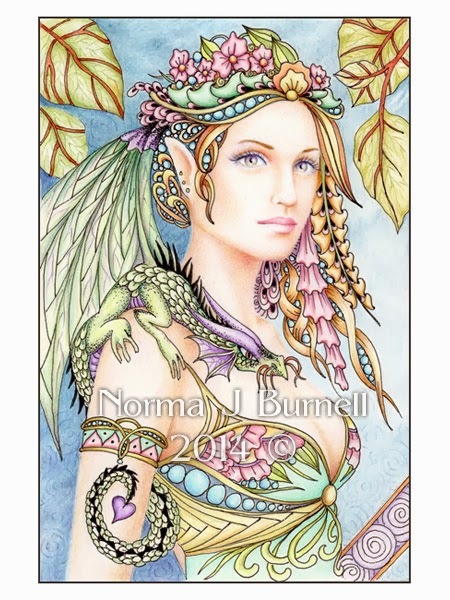 Cybele & Kaida (little dragon) - 4x6 inches in size, drawn with Irojiten and Prismacolor color pencils and micron pen on 500 Series plate bristol board. 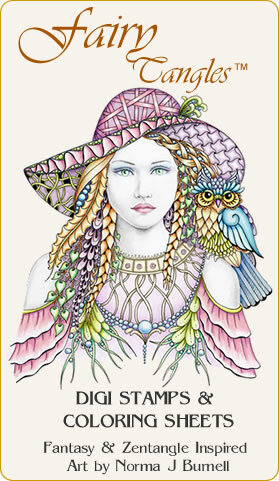 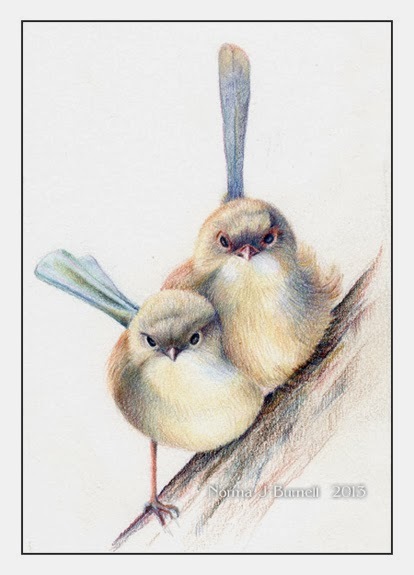 Drawn with my new Irojiten color pencils..really liking these pencils - "Wrens" 4x6 inches, Irojiten color pencils on Stonehenge paper.